These expressions are very similar, but there is a slight difference in meaning. 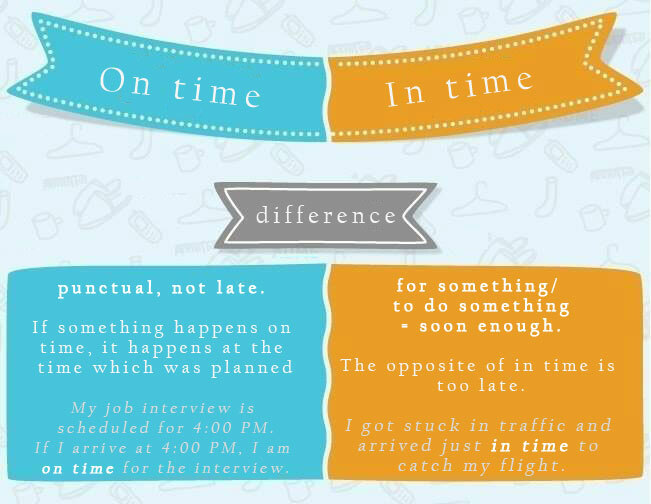 On time means that there is a specific time established when something is supposed/expected to happen, and it is happening at the planned time. I want to start the meeting on time so please don’t be late. If we say we arrived in time, we’re saying that we got there a little early – that there was time to spare. We arrived in time to get some drinks before the show started.